Rich and decadent, this recipe for Chocolate Chip Cherry Amish Friendship Bread is a chocolate lover’s dream come true. Dust this bread with powdered sugar for a fun and festive look! Rich and decadent, this recipe for Chocolate Chip Cherry Amish Friendship Bread is a chocolate lover's dream come true. Dust this bread with powdered sugar for a fun and festive look! Dust the greased pans with a mixture of ½ cup sugar and ½ teaspoon cocoa powder. Pour the batter evenly into loaf or cake pans and sprinkle the remaining sugar-cocoa mixture on the top. This is definitely my next creation, and just in time for Valentine’s Day! Who doesn’t like chocolate? I like the idea of substituting a jar of maraschino cherries for the dried cherries. I look forward to serving this to my sweetheart! 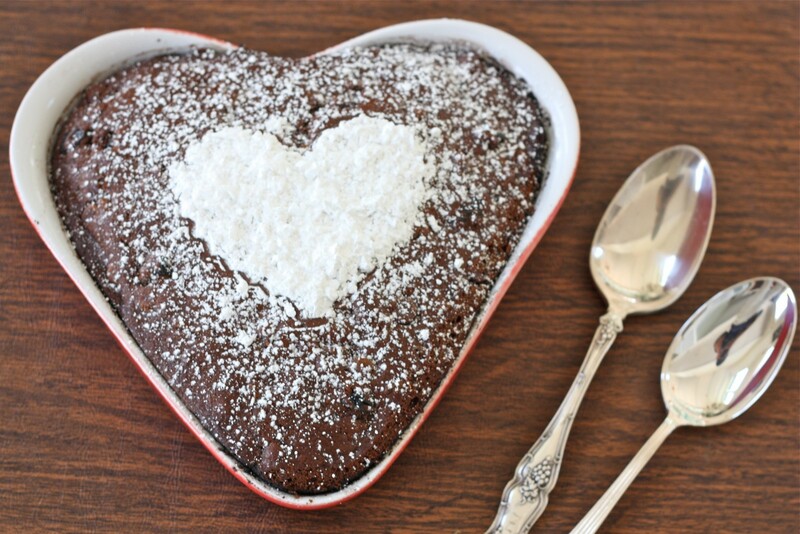 This will make a perfect dessert for Valentines day…..with cherries to boot. This sounds delicious – I will try this for our next anniversary!